1. 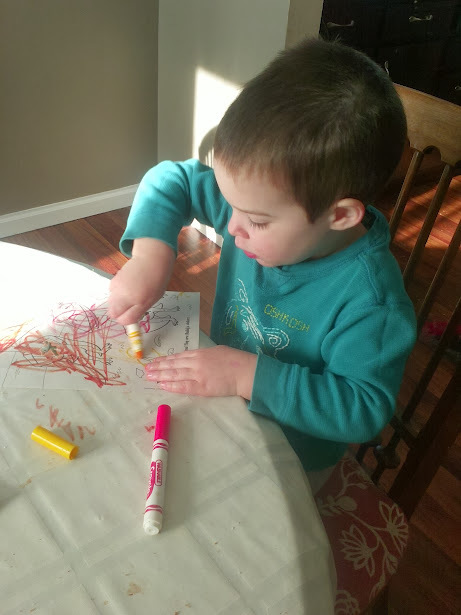 We had our first home study visit on Monday! Since initiating the process to adopt from foster care in October, we've been anxiously awaiting this visit. In the end, it was pretty boring. We just spent an hour and a half talking about the paperwork we need to fill out. We asked a few questions and that was that! She'll return on April 21st to do a more formal interview and the safety check of the house. We have quite a bit of paperwork to do before then and also a few purchases, cat vaccinations and a physical for me. 2. 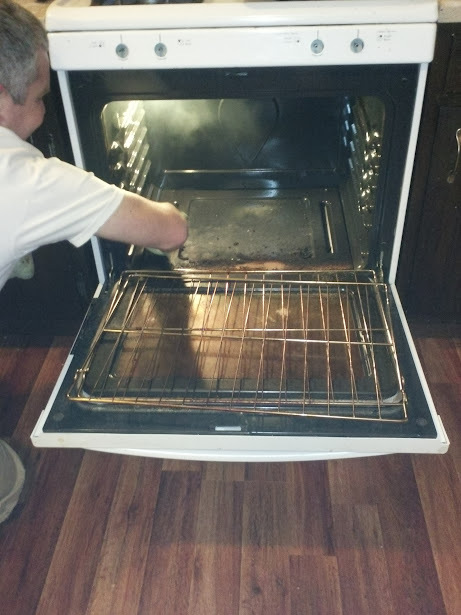 In preparation for our home study, John might have set the oven on fire! Read the full story here. 3. 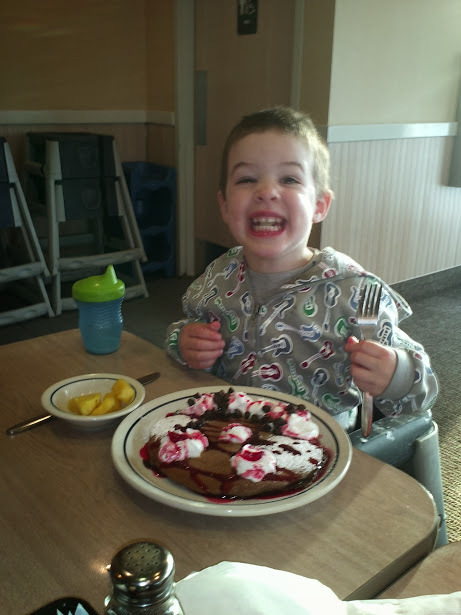 For Christmas, Great Grandma Alice gave us a gift card to IHOP, which we finally got around to using! The kids had a great time! Well, almost. 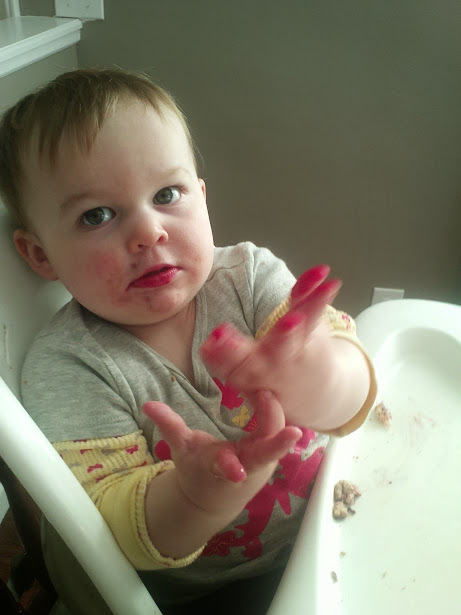 Blaise got upset near the end when he asked for something else to eat. We explained that at a restaurant you only get to have the one thing you order. He said no, at CiCi's you get as much as you want and you can keep getting more! So true, buddy. Unfortunately not all restaurants are buffets! 4. Lucy has become quite the musician lately. 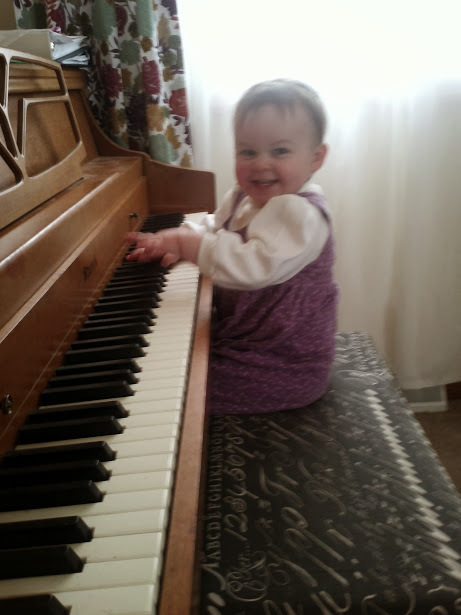 She loves singing (really, yelling) the ABC's and playing the piano! 5. 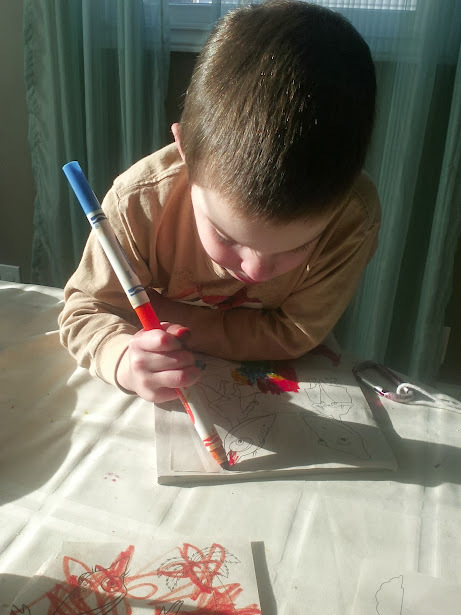 The kids discovered a love of coloring books this week. It keep them captivated for a full 45 minutes while I made dinner! 6. My fabulous husband has been working for about a year putting together a conference at Notre Dame. It started last night and runs through dinner tonight. I'm super proud of him for getting all these big name academics in one place for What Darwin Didn't Change: Investigating the Enduring Interactions of Faith, Science, and Reason. 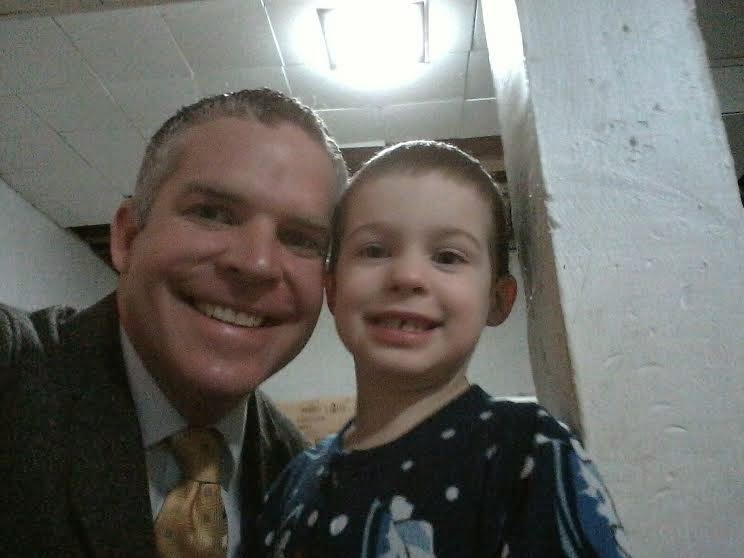 Here's a cute picture of Blaise with John right before he left! 7. Although we got another 4 inches of snow this week, we did have some glimpses of spring thrown in, too! 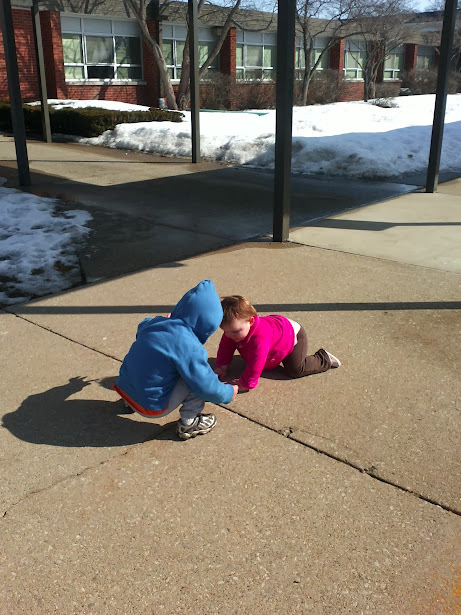 While Blaise was at speech class, it was warm enough for me, Finn, and Lucy to take a little walk around the school. The kids were obsessed with cracks in the sidewalk!